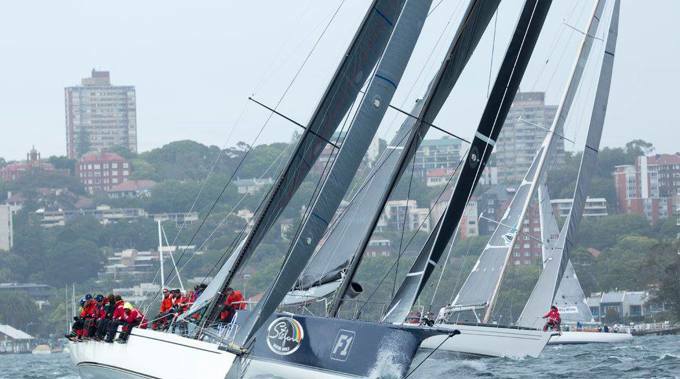 The Audi Centre Sydney Blue Water Pointscore series, Australia’s toughest ocean racing challenge, is just 50 days away. The series, made up of six major races and run by the Cruising Yacht Club of Australia, culminates in the Rolex Sydney Hobart Yacht Race. CYCA Commodore John Markos says the Audi Centre Sydney Blue Water Pointscore series is one of Australian sailing’s greatest prizes. “The Audi Centre Sydney Blue Water Pointscore series is a truly great challenge,” Markos says. “The series pits the best yachts and the best sailors and skippers against one another, on some of the world’s most challenging journeys, including on the legendary Rolex Sydney Hobart Yacht Race. Last year Tony Kirby and his yacht Patrice won the Blue Water Championship but will again be challenged by the likes of Matt Allen’s Ichi Ban, Shane Kearns’ Komatsu Azzurro and newcomer and rookie of the year Zoe Taylor on Grace O’Malley. Winners of annual Blue Water Ocean Racer of the Year awards comprise some of sailing’s greatest names, including Bob Steel, Syd Fischer, Matt Allen and more, highlighting the value of the Blue Water Pointscore series as a breeding ground for sailing development.